Start off your visit on the 12th (Wed): whizz through the canopy at some of the top local zipline courses and adventure parks, stop by P & C Jewelry, then make a trip to Bangla Road, then relax and rejuvenate at some of the best spas, and finally stroll through Patong Beach. To see photos, maps, traveler tips, and more tourist information, you can read our Patong online vacation planner . 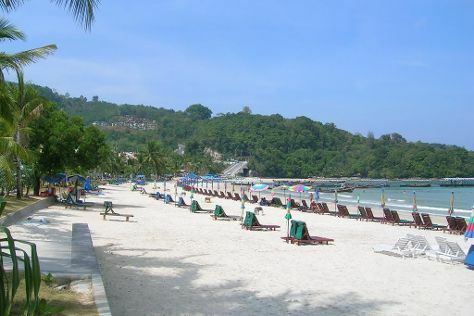 New York City, USA to Patong is an approximately 24-hour combination of bus and flight. You can also fly. Due to the time zone difference, you'll lose 12 hours traveling from New York City to Patong. Prepare for somewhat warmer weather when traveling from New York City in June: high temperatures in Patong hover around 89°F and lows are around 75°F. Finish up your sightseeing early on the 12th (Wed) so you can travel to Ko Phi Phi Don. On the 13th (Thu), don't miss a visit to Koh Phi Phi Viewpoint, then look for all kinds of wild species at Wildlife Areas, and then Head underground at Ko Phi Phi Le. Keep things going the next day: stroll through Long Beach, head off the coast to Mosquito Island, and then stroll through Laem Tong Bay. To find ratings, other places to visit, maps, and more tourist information, refer to the Ko Phi Phi Don route planning site . Traveling by combination of taxi and ferry from Patong to Ko Phi Phi Don takes 1.5 hours. Expect a daytime high around 89°F in June, and nighttime lows around 75°F. Finish your sightseeing early on the 14th (Fri) so you can travel to Bangkok. 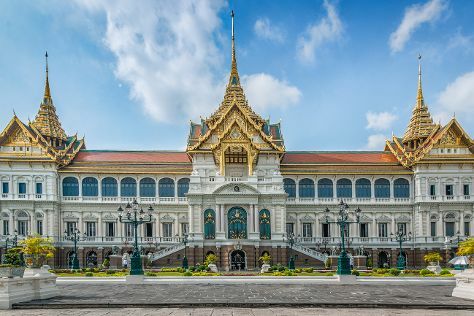 Start off your visit on the 15th (Sat): explore the historical opulence of The Grand Palace, then take in the spiritual surroundings of Wat Pho, then contemplate in the serene atmosphere at Temple of Dawn (Wat Arun), and finally contemplate in the serene atmosphere at Wat Saket. To find ratings, traveler tips, where to stay, and other tourist information, refer to the Bangkok vacation website . Traveling by combination of ferry and flight from Ko Phi Phi Don to Bangkok takes 7 hours. Alternatively, you can do a combination of ferry, bus, and flight; or take a bus. In June in Bangkok, expect temperatures between 93°F during the day and 79°F at night. You will have some time to spend on the 16th (Sun) before leaving for home.